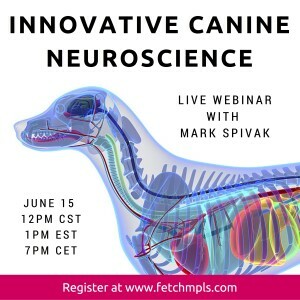 CPT’s Mark Spivak is conducting an international webinar entitled, “Innovative Canine Neuroscience.” The webinar discusses how fMRI research is improving our ability to select dogs for working roles, train working and pet dogs, and improve our dogs’ quality of life. The webinar is hosted by Fetch Dog Training of Minneapolis and will be broadcast in North America and Europe on Wednesday, June 15 at 1 pm EST. Interested parties may register by clicking http://www.fetchmpls.com/webinarreg.php. The registration fee is $35 for professionals and $15 for students. The webinar has been approved for 1.5 CEUs from the International Association of Animal Behavior Consultants (IAABC), 1.5 CEUs from the Certification Council for Professional Dog Trainers (CCPDT), and 1.5 CEUs from the National Association of Dog Obedience Instructors (NADOI). Questions will be accepted throughout the 90 minute presentation. There is an old joke that if you ask 10 dog trainers a question you will receive 10 different opinions. Moreover, when pet owners, dog trainers, behaviorists, and veterinarians apply science to dog training or behavior, frequently the accepted analysis is affected by subjective interpretation. However, recent innovations in canine neuroscience provide insightful methodologies for improving our empirical understanding of how behavior and learning affect canine brain activity and how brain activity affects canine behavior and learning. In this webinar participants will learn about the novel technique of awake, non-restrained canine fMRI and its advantages to conventional methods of studying canine behavior. We’ll discuss how researchers have ingeniously trained dogs to cooperatively and humanely enter an MRI and remain motionless, providing noninvasive neurological data. We’ll discuss what awake canine fMRI studies have already taught us about canine cognition, emotions, sensory perception, receptive communication, and inhibitory control, and where our newfound knowledge of dog behavior and learning is providing practical applications for improving research, veterinary care, training, behavior modification, and product development pertinent to pet dogs, competition dogs, service dogs, and working dogs. 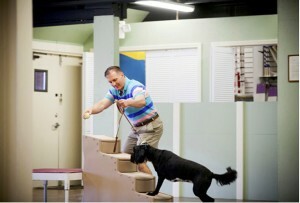 The advantages of canine neuroscience in better understanding the physiology and psychology of behavior and learning. The advantages of fMRI versus alternative imaging techniques for understanding the interactions between behavior/learning and brain activity. Historical methods of animal fMRI research prior to the advent of awake, non-restrained canine fMRI. 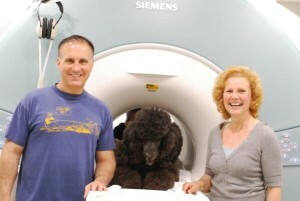 The difficulties researchers had to overcome to make awake, non-restrained canine fMRI viable. The evolution of the training process that taught a diverse set of community dogs to cooperatively enter the MRI environment and remain absolutely motionless. The equipment required to humanely train and scan dogs. Back-end technical and analytical difficulties surmounted by the research team so that equipment and a process previously reserved for humans could be humanely and accurately employed with dogs. Issues relevant to selecting and training candidate dogs. What we have learned to advance knowledge regarding canine cognition, emotions, sensory perception, receptive communication, and inhibitory control.